Wow! Now that was one incredible final weekend and while some of the teams have not helped their reputation, the Six Nations as a sporting spectacle has done itself a lot of favours. The Championship is over for another year and in a World Cup year it will be interesting to see how much significance the performances from the past few weeks will have come Japan. But before we get ahead of ourselves, let’s look at some of the many, many talking points from the final round of matches that saw Wales win the Grand Slam, Ireland worry that they’ve peaked too soon, Scotland fans cry from happiness and sadness at the same time and England wonder how a sports team can genuinely have split personality disorder. There has been plenty of talk about how this Welsh side are doing something special even though they don’t have too many truly world class players. If you look at their best 15 then you’d be hard pressed to find any of them in a best in the world 15. And yet they march onwards having won the Grand Slam, undefeated for 14 games now. Winning the Grand Slam is impressive but the way they blew away both England and Ireland in this year’s tournament was really something else. Against Ireland this weekend the Welsh were truly dominant. In attack they were creative, brave and clinical. In defence they were their usual well organised and intense wall of red. The Irish, with all their experience and talent, had no answer for the Welsh performance. Yes the Welsh were at home against the Irish and English but that should not take away from the way in which this side is able to deliver performance after performance where they deliver well above and beyond the sum of their parts. Looking ahead to the World Cup, it’s not hard to see the Welsh getting to the semifinals without too much hassle and from there, who knows. With a team in this sort of form, with this sort of self-belief and with Warren Gatland in charge it really wouldn’t be a surprise if we’re seeing the men in red take the field in the final of the big dance. Their talismanic leader – Alun Wyn Jones – has been immense this year and there will be a lot of players wanting to see his last World Cup as something truly memorable. Against Ireland, Wyn Jones was the best player on the park for the first 40 minutes by far and he is able to dominate a match like only the best can. 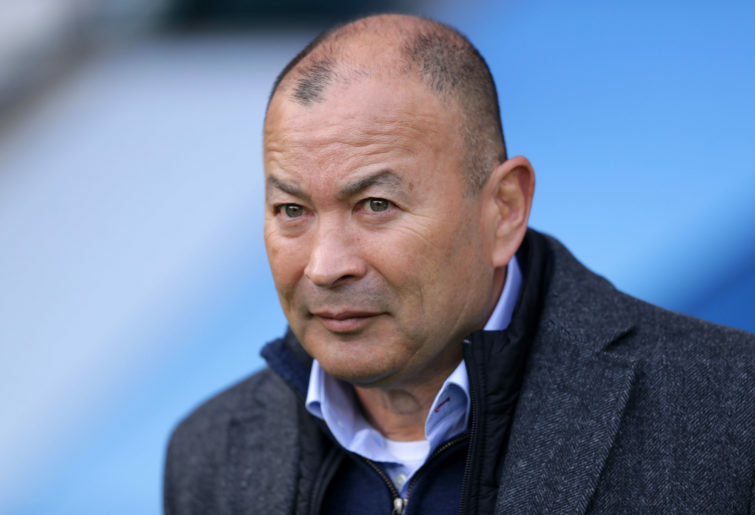 They’ve had a fantastic Six Nations and should be applauded for the way they have gone about the business of breaking down their opponents and always doing what is necessary to win. They have continued to quieten the doubters who have said there isn’t any world class talent and it’ll be interesting to see how much longer they can keep doing that. Congratulations Wales on a fantastic championship. 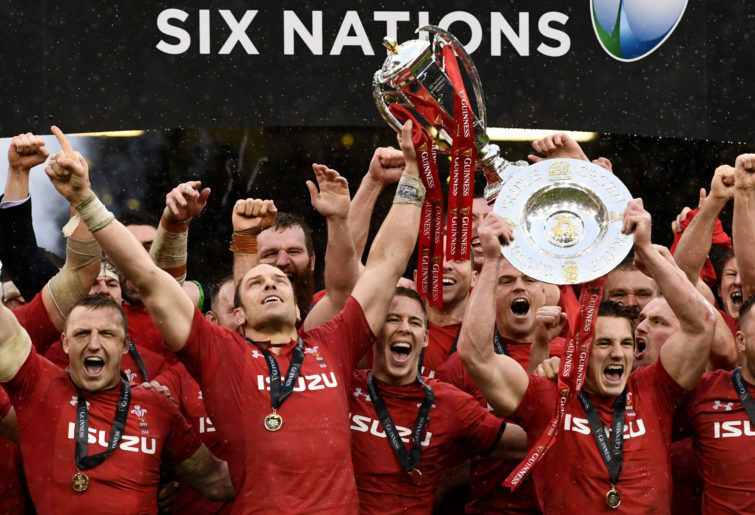 Over the past couple of weeks there has been a lot of discussion about various plans for the evolution of the Six Nations and World Rugby’s Nations Championship. One of the apparent sticking points for some is the concept of relegation from the top league and having seen how the Italians played against France it’s not hard to understand why the Azzurri are very wary of the big R word. The Italians have been poor for a long time and against the French they found a way to butcher the most incredible opportunity to beat Les Bleus. With a few minutes left on the clock, the Italians were camped in the French 5m area and heaping more and more pressure on the visitors. That pressure had led to a French player being sin-binned and the feeling that it was just a matter of time before the Italians claimed the crucial score. They worked hard, created the opportunity and had the try line within their grasp and at that point they managed to mess it up! It was a simple error from one of their players that will be in their nightmares for a while. As he dived for the line and his face started to beam with pride the ball was knocked from his arms by a French defender. These things happen for sure but this was unforgivable – he had two more men outside him who could have walked in unopposed to score the try but instead he went himself and failed. Being poor at rugby isn’t a sin but failing to improve and making such simple errors over and over at a professional level is what causes people to wonder if you still deserve your place at the top table. In the first half against Scotland, England were fantastic. They were unstoppable and there aren’t many, if any sides in the world who could have contained them. They did almost everything right and played some gorgeous rugby that must have had most Scottish fans in real fear of seeing their side absolutely humiliated. It was 31-0 after 34 minutes and there must have been Scottish players wondering if they should consider a different career path. But then in the second half the English showed that they are the dictionary definition of the word implosion. They didn’t just go off the boil, it looked like they were almost trying to find ways to lose. You wouldn’t be surprised if some people were wondering if there was match-fixing at play so poor was the English team in the second half. What’s scary though for England and Eddie Jones is that this is not the first time this has happened. On no. Just a few weeks ago it was a similar situation against the Welsh. Last year the English dominated the South Africans in the opening stages of a couple of Test matches. In all those cases, England ended up losing after they put in the most abject performances. Whether it’s an arrogance thing or a lack of leadership or something else is not clear. But Eddie Jones needs to figure out what keeps going wrong with his team if they want to have any chance of competing for the Rugby World Cup. Having his team’s consistency vary from week to week is one thing but swinging so wildly from one end of the spectrum to the other within the same game of rugby is just bizarre. It’s crazy to think that you could feel disappointed about drawing a game against England, at Twickenham, when you’re 31 points behind them with just 45 minutes to play but the Scots will feel gutted to have not won this weekend. The way they fought back from almost certain defeat to lead at one point was just incredible. 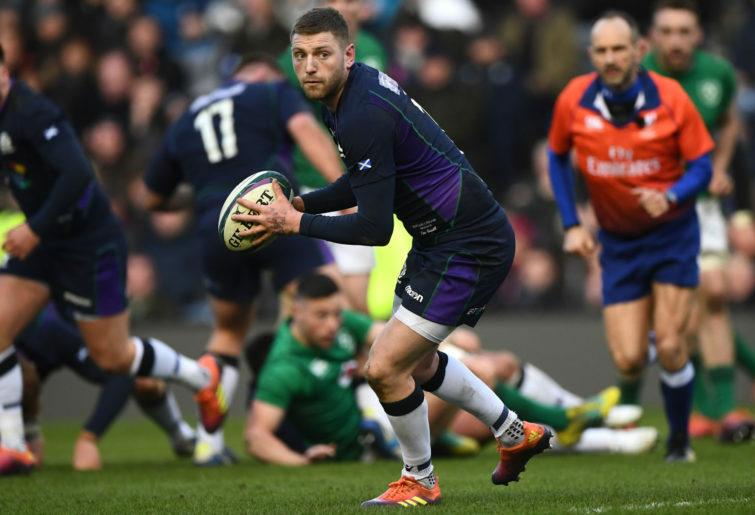 Everything that had been missing in the first half came flooding back and Finn Russell in particular showed that on his day he is one of the world’s best. As England lost their way, the ice-cool Finn Russell just kept finding ways to heap more pressure on the men in white. Russell has a history of tormenting England and one of his passes last year in this clash is still talked about as being the pass of the year. Well in 2019 he delivered another one that is sure to be the topic of many a discussion over the coming days and weeks. He launched this long miss pass that for a split second looked like it might be intercepted but as Twickenham held its breath, Russell’s pass dropped perfectly into his teammate’s waiting arms and they were in again for another try. The fact that Scotland ended up drawing thanks to England scoring a crucial try after the 80-minute mark will break many Scottish hearts, and well it should. While this game showed the talent and heart of the Scots, it also showed that they have not yet got that ruthless ability to close out a game. Having clawed their way back into the game and then taken the lead the Scots needed to calm down, take control and wrap up the most incredible comeback in rugby history. Instead they let their oldest enemy back into the game which is something the best sides just do not do. Scotland can attack – we all know that. Now they need to learn to win. No one can doubt the commitment or passion that Owen Farrell brings to England. He has that look on his face that there is nothing he won’t do to try and win for his country. On the good days this leads to some wonderful play and leadership that inspires those around him. However, there are a growing number of incidents that see Farrell’s enthusiasm creating real issues for his team. Last year against both the South Africans and Australians he put in “tackles” that seemed to have a lot in common with shoulder charges that could have/should have led to the England captain sitting on the naughty step for 10 minutes and giving the opposition crucial scoring opportunities. Against Scotland, as his team’s lead was disappearing worryingly quickly, Farrell needed to be the one who took control and calmed everything down. Instead, in his desire to make something happen for his team, he got into another dangerous situation and his late tackle on Darcy Graham could easily have led to a red card. Farrell is the sole captain for England now as Dylan Hartley is no longer involved and perhaps the pressure of that role and being England’s fly half and their kicker is just too much for him when the game gets close. He’s got away with it three times now in recent memory – all at Twickenham. That luck will run out and if he does something like this in the World Cup he really could cause his side some serious trouble. He needs to sort this out for sure but he also needs others in the England team to step up and show him that he’s not the only leader. England needed several voices on Sunday to snap them out of their second half performance and sadly none seemed to step forward. What have we learned for the World Cup? Well let’s be clear – Six Nations form (good, bad or ugly) isn’t the be all and end all for the World Cup. However there have been some interesting themes that have cropped up that are worthy of note. Firstly Ireland have lost their mojo. England and Wales dominated them in this year’s championship and the men in green really need to figure out quickly how to adapt their style now that teams have seen how to beat it. They are in the wrong side of the World Cup draw and will have to play either New Zealand or South Africa early on – if they don’t improve over the coming months then that could be it for them. Secondly England’s biggest weaknesses are in their heads. Wales and Scotland showed that if you can get into the English heads then they can really fall to pieces quickly. The draw favours them to a certain extent and so they could make the semis but they could easily have another brain fade and be gone in the quarters before they’ve really got going. Wales are getting better and better. Some of their best wins from their 14 straight victories came in the past three games. While the success of a Grand Slam is important to the players, it shouldn’t derail their bigger ambitions of challenging for the World Cup. Scotland will entertain but fail to go far in the tournament. On their day they can cause any team problems for 40 minutes or so but they just don’t have the ability to put the top teams away. With both Ireland and Japan in their group at the World Cup you can see them getting knocked out early. France are in real trouble and French rugby in general is doing their international side no favours at all. With Argentina and England in their group it’s easy to see the French will be holidaying in Japan before they’ve had chance to put their stamp on the tournament. Italy. Well, they wouldn’t stand a chance anyway but when you consider that they are in a group with the All Blacks and Boks it’s fair to say that the Italians really have nothing to look forward to when it comes to the World Cup. They are going to need to fight their corner hard in the discussions with World Rugby otherwise they could find themselves in the Tier 2 league very soon.